St. Andrew, the brother of Simon Peter, was born in the Galilean village of Bethsaida. Originally a disciple of St. John the Baptist, Andrew then became the first of Jesus’ disciples (John 1:35–40). His name regularly appears in the Gospels near the top of the lists of the Twelve. It was he who first introduced his brother Simon to Jesus (John 1:41–42). He was, in a real sense, the first home missionary, as well as the first foreign missionary (John 12:20–22). Tradition says Andrew was martyred by crucifixion on a cross in the form of an X. In AD 357, his body is said to have been taken to the Church of the Holy Apostles in Constantinople and later removed to the cathedral of Amalfi in Italy. Centuries later, Andrew became the patron saint of Scotland. St Andrew’s Day determines the beginning of the Western Church Year, since the 1st Sunday in Advent is always the Sunday nearest to St Andrew’s Day. Peter’s death was a tragic one. Tradition says that he was crucified upside down by the Roman Emperor Nero. Peter’s martyrdom was part of a campaign of persecution against Christians after a fire destroyed Rome. Nero found it convenient to blame the tragedy on the Christians and so persecuted them. It is no surprise, then, that Peter, at the end of this epistle, would refer to Rome as “Babylon” (1 Peter 5:13), a common biblical image for evil. After all, the Roman Empire was the archenemy of the Church. It is against this historical backdrop that Peter writes: “Honor everyone. Love the brotherhood. Fear God. Honor the emperor.” At first, it sounds as if Peter is serving up bland Christian niceties. “Honor everyone.” Yes, it is good to respect others. “Love the brotherhood.” Absolutely. Jesus Himself taught, “By this all people will know that you are My disciples, if you have love for one another” (John 13:35). “Fear God.” Of course! This is the First Commandment. “Honor the emperor.” Now wait a minute. The emperor is Nero. The same Nero who kills Christians! Peter asks us to honor him? How can we honor such a diabolical despot? Luther’s exposition of the doctrine of the two kingdoms proves biblical and practical when confronted by a ruler like Nero. On the one hand, we are to honor secular rulers in the secular affairs of this world’s kingdom, for God appoints these rulers to order such affairs (Romans 13:1). Thus, we pay our taxes and follow the laws of the land. However if a secular ruler tries to encroach on spiritual authority, we must resist, for this authority properly belongs to the kingdom of God. So when Peter says, “Honor the emperor,” he encourages his readers to obey Nero insofar as his commands have to do with basic operations of the Empire. Yet, Peter can also call the Roman Empire “Babylon,” for it is a heathen empire that seeks to encroach on spiritual matters and must be resisted when it does so. And so, whether we love our rulers or desire to vote them out of office, to this we are called: we are to pray “for kings and all who are in high positions” (1 Timothy 2:2), for they are placed in their offices by God. And even if they, like Nero, might persecute us, we still have the assurance that, quite apart from their fleeting earthly kingdoms, we have received a “kingdom that cannot be shaken” (Hebrews 12:28). 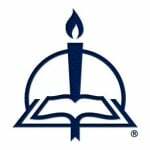 The Prayer of the Day is from the Lutheran Service Book Collects of the Day © 2006 Concordia Publishing House. All rights reserved. 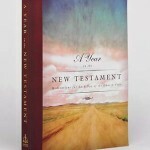 To order A Year in the New Testament, please contact CPH at 800-325-3040 or visit www.cph.org.